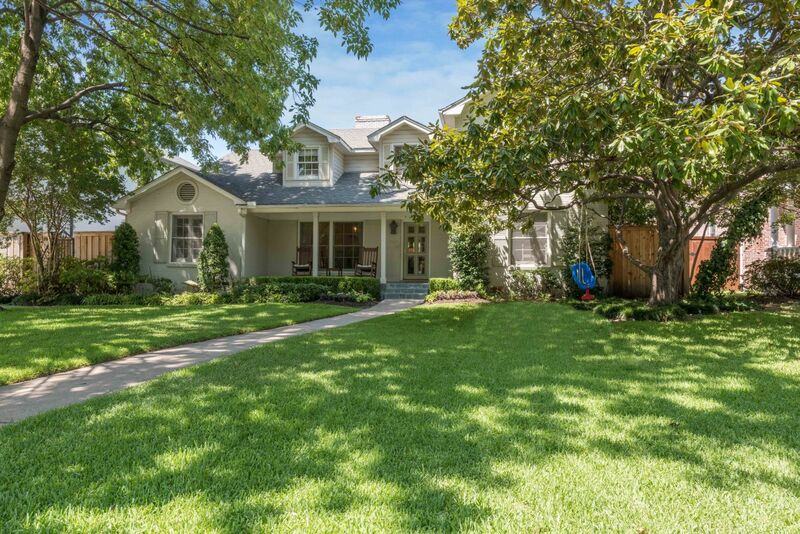 Situated in prestigious University Park near Preston Center and NorthPark, 3832 Villanova Street is a wonderful traditional residence nestled on a gorgeous 70′ x 150′ lot with fabulous drive-up appeal. Details include spacious entertaining rooms, gleaming hardwoods, deep molding and recessed lighting throughout. The fabulous two-story home offers approximately 3,313 square feet, four bedrooms, 4.1 baths, an elegant dining room with wood-burning fireplace, oversized vaulted living room with built-ins, private study, spacious granite kitchen with an island with breakfast bar, premier stainless steel appliances and a large breakfast area with built-ins and a desk area, a luxurious downstairs master suite with a gorgeous bath with His and Hers sinks, a jetted tub, separate double shower and a large walk-in closet, three additional generous-sized bedrooms, each with their own elegant baths and large closets, a front porch area, covered patio overlooking a gorgeous pool and lush landscaped grounds, and a two-car detached garage with full guest quarters above.